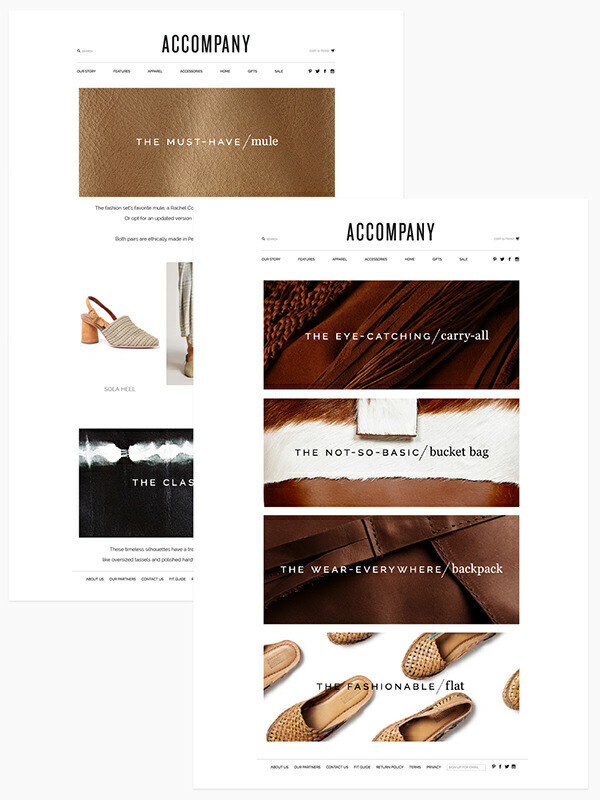 Accompany is a global curator—scouring the globe for the coolest, most beautiful and one-of-a-kind finds, and filtering them through a range of style lenses—to create unique boutiques that contain both an eclectic mix of cultures and a well-edited point of view. 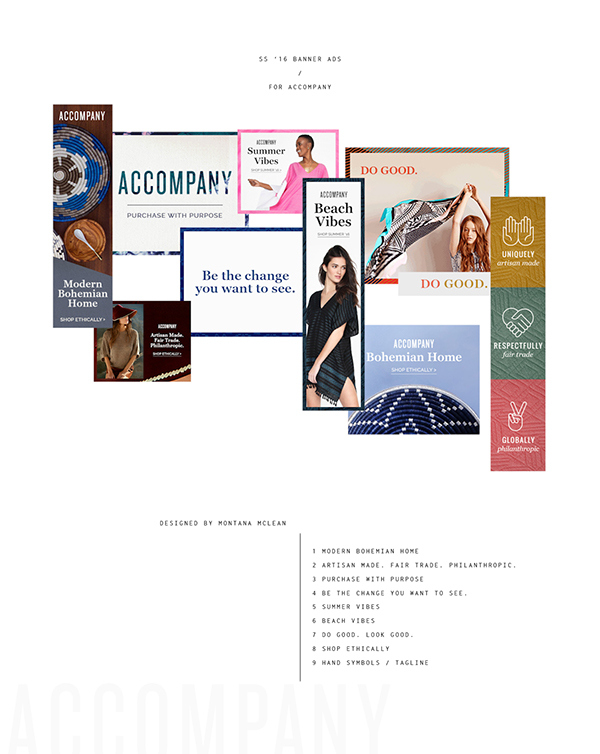 Each choice has a story behind it, and embodies exemplary design. 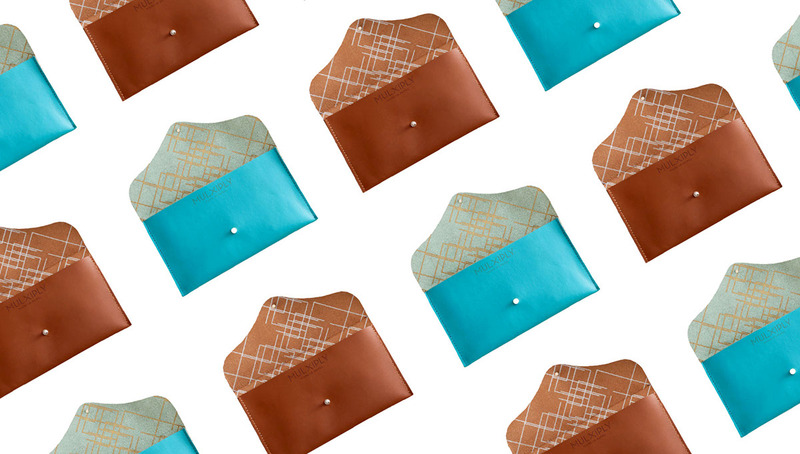 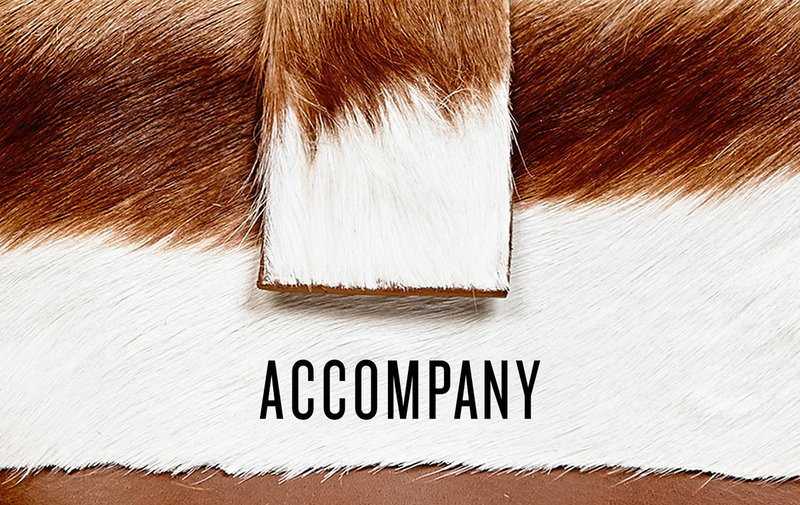 Accompany's website was built with ethical imagery and bohemian patterns. 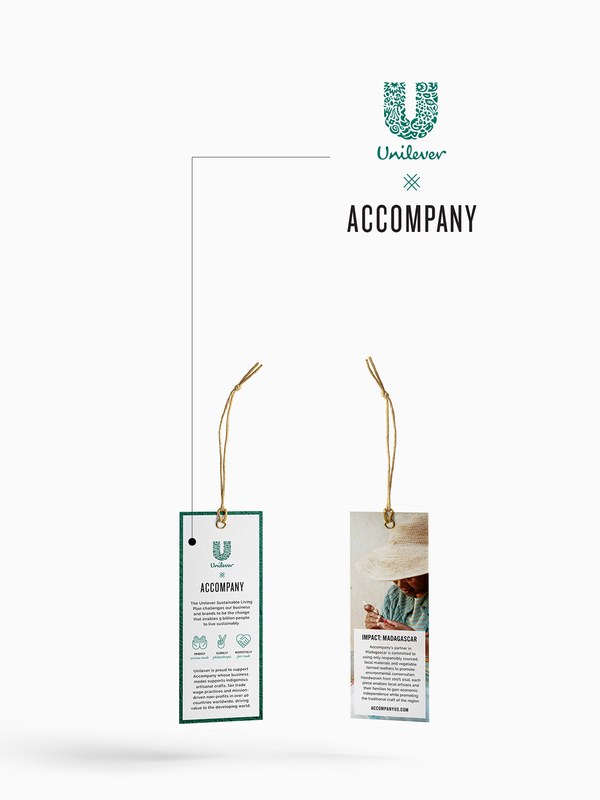 Our goal was to consistently communicate that Accompany's products and partners authentically represent the intersection of positive human impact and fashion.